Mums are being warned not to make their family holidays even more stressful by forgetting to book travel insurance. 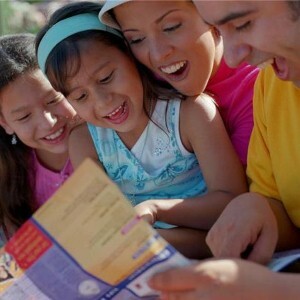 Organising taking the kids away can be a difficult task as a recent survey by Holiday-Rentals.co.uk has found. The website says that 84 per cent of mums are left to plan the family holiday by themselves and that that 60 per cent find it a stressful experience. One way that mums can reduce stress is though booking their travel insurance through a respected provider and make sure that the have adequate cover for all activities. Following the research, the website has launched a new Mum's Holiday Guide to offer flustered parents advice on how to chose the best location, how to pack and what the rest of the family can do to help. Greg Grant, UK managing director for Holiday-Rentals.co.uk said: "Based on the results of our research, it's not surprising that mums can find holidays stressful. "We can't force other members of the family to help mum more on holiday, but we have done everything we can to help take the pain out of planning with our Mums Holiday Guide."